Calhoun graduates and former students alike are members of the Calhoun Alumni family. We are eager to help you maintain lifelong connections with Calhoun Community College. 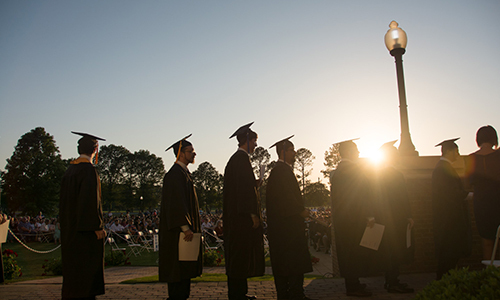 We want to hear where life has taken you after Calhoun. As a Calhoun Alum, we invite you to take advantage of Calhoun’s Career Services to help you continue to build a successful career. You will also find Career Services to be an excellent resource for recruiting talent for your business or industry, as well. Thank you for staying in touch with Calhoun Alumni Association. Please complete this form to update your record. *Required fields are necessary to receive alumni communications. For questions, please email alumni@calhoun.edu or 256-412-4088.